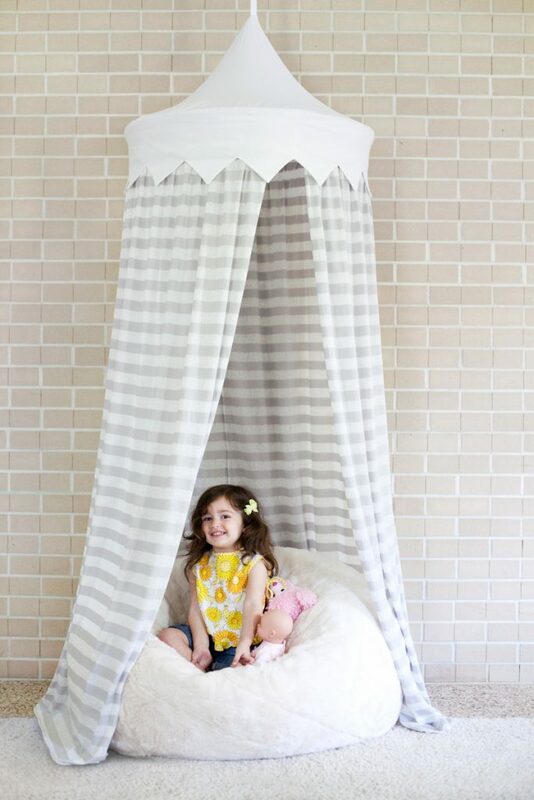 17 DIY Play Tents and Teepees Your Kids Will Love! 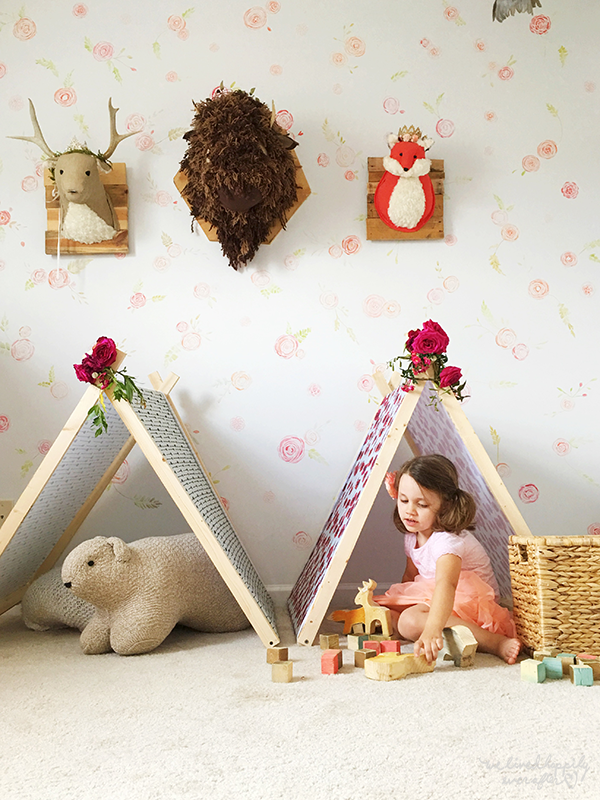 17 DIY Teepees and Play Tents Your Kids Will Love! 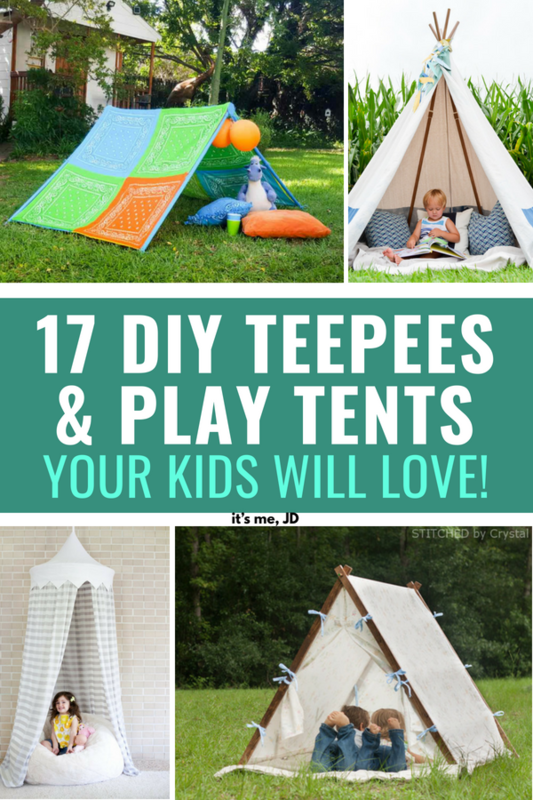 / Crafts/DIY / Comments Off on 17 DIY Teepees and Play Tents Your Kids Will Love! 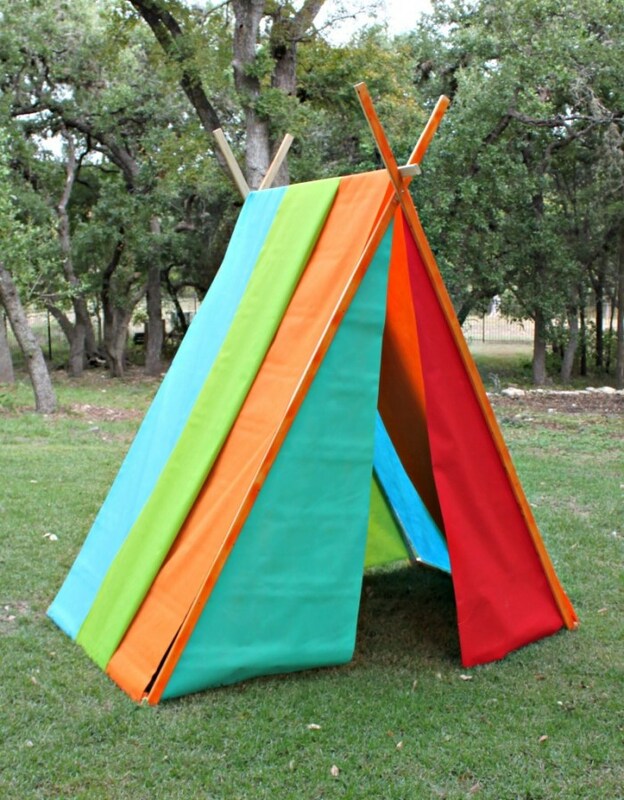 DIY play tents and teepees are a great way to entertain the kids inside or outside. When you make your own, you can personalize them to your child’s preferences. 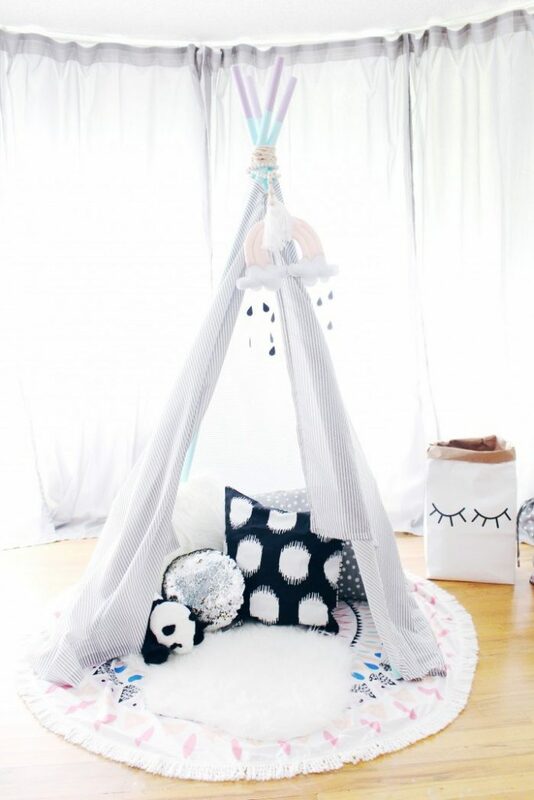 You can use different colors, fabrics, materials, add lights, etc, your kid is sure to have a great adventure in their new makeshift tent. 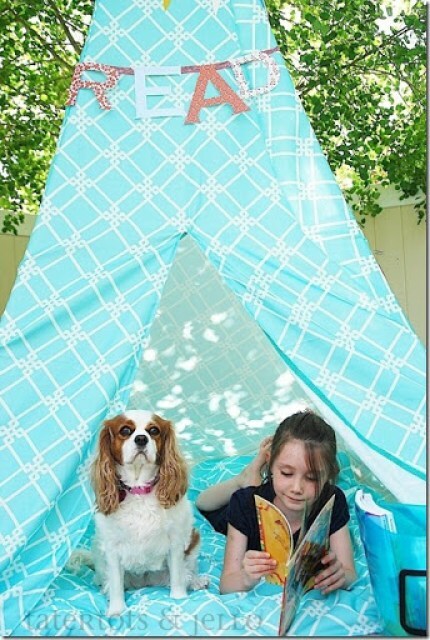 Little teepees and tents are great for just hanging out with friends or reading a book. 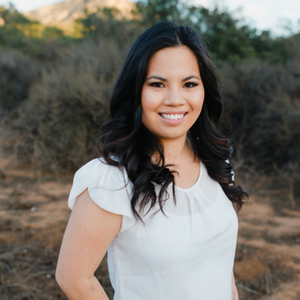 To help you get inspired, I’ve rounded up some amazing ideas from some awesome bloggers. 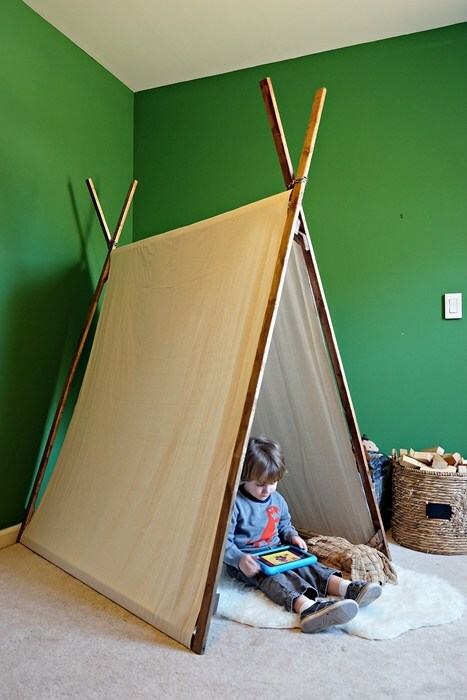 Here are 17 DIY Teepees and Play Tents Your Kids Will Love! It can be assembled in minutes and it will provide hours of fun for the kiddos! 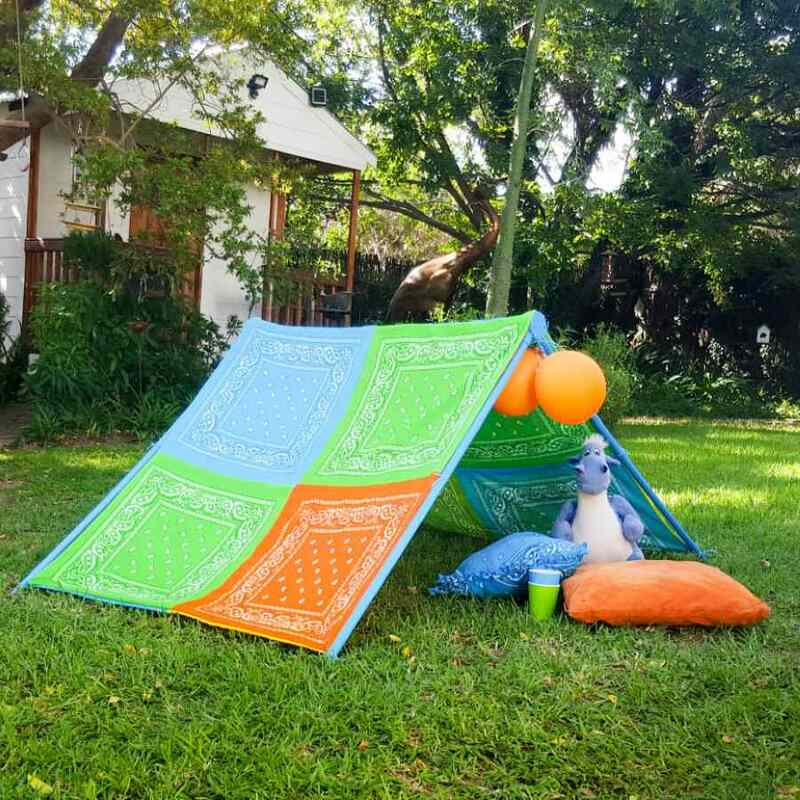 When the kids are done playing, it will fold flat and can be set aside or the whole tent breaks down quickly and it can be easily stored away. 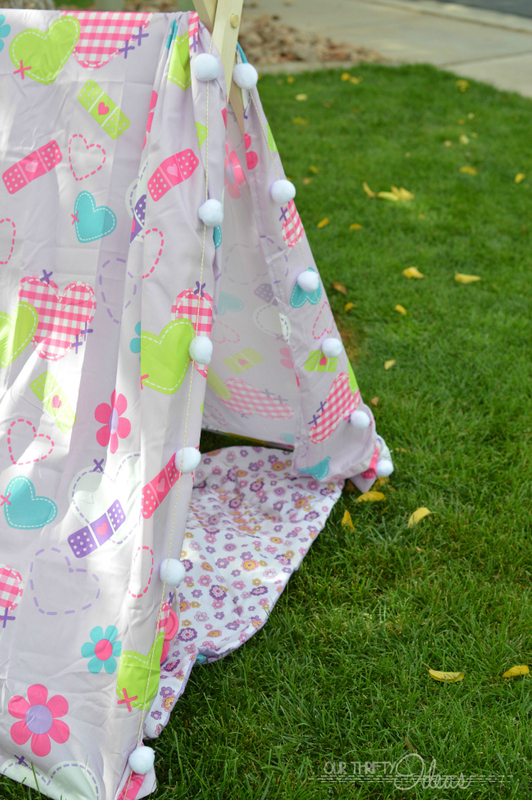 Such a simple method for sewing a play tent without a pattern! Build a play tent so kids can have a little place they can call their own where their imaginations can go wild!!! 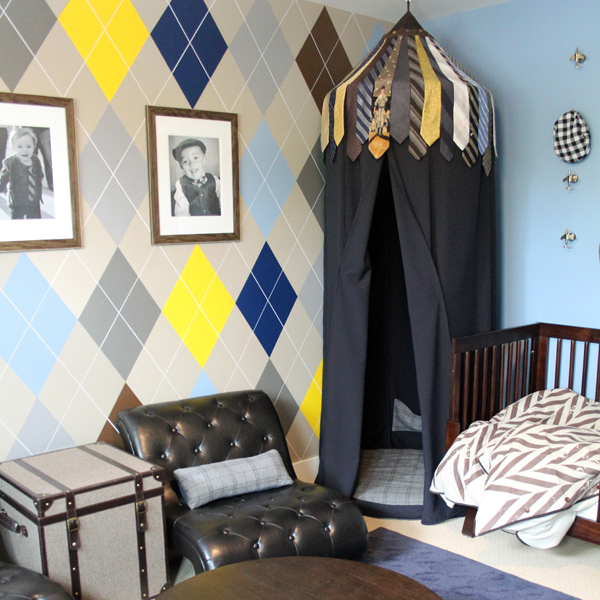 Necktie Play Tent | Blue i Style – please visit directly to pin! The PERFECT addition to hang in the corner of a kid’s room! 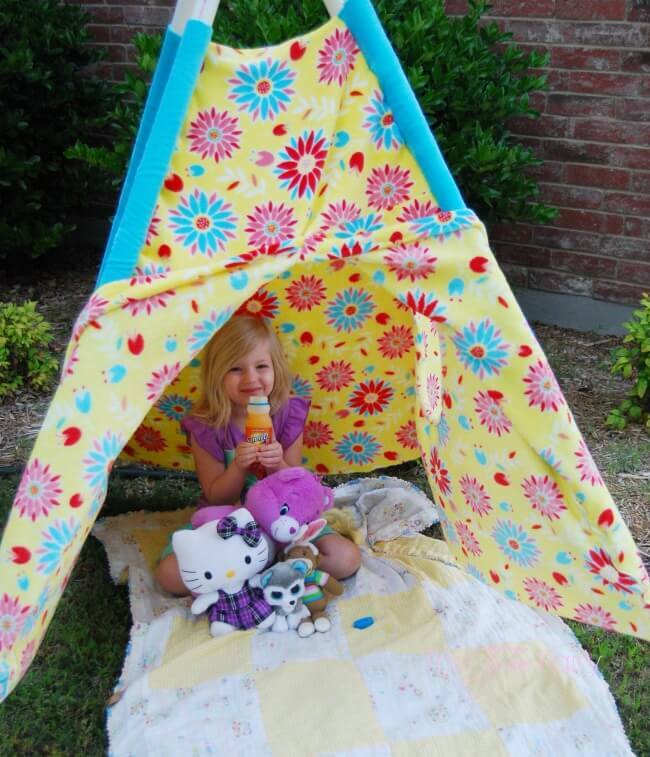 Watch their imagination go wild as they interact with their toys in this DIY no-sew tea party tent. Easy to make and fun to keep in the shade on the back porch and fill with sleeping bags and pillows. It won’t take long for your kids to jump right into the tent and drag their books and pillows out. 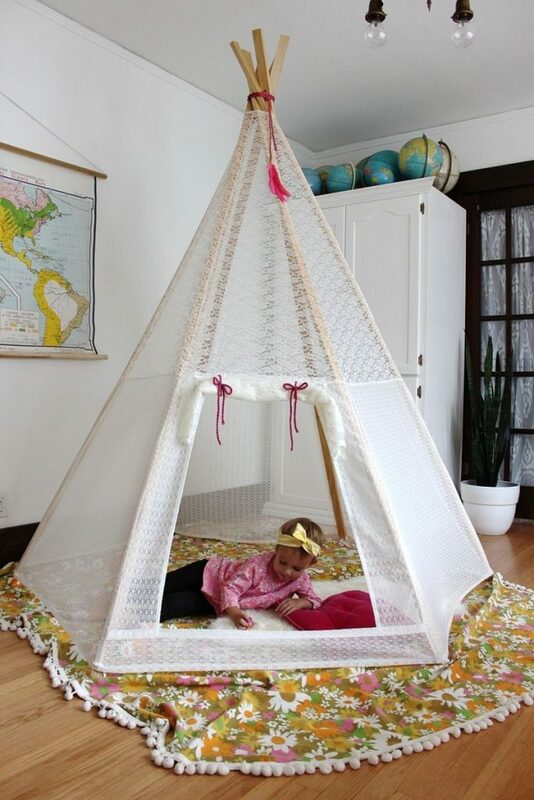 This is an easy to follow tutorial for a no sew teepee. This tent is big enough to hold 2 kids with lots of toys or books. But it’s small enough to push through standard door frames. So, no need to take it apart when you need to move it. This is an easy project if you have a few basic tools and a bit of basic woodworking experience/eagerness to learn! 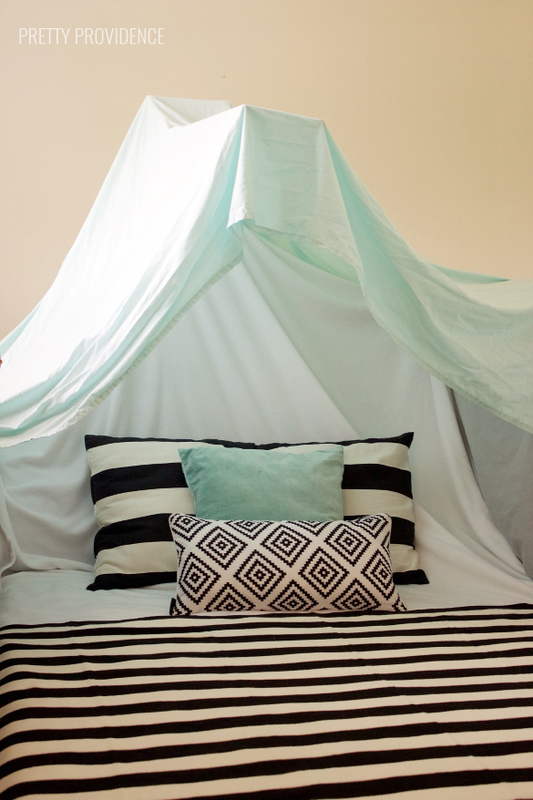 The perfect quiet time tent – or the perfect place to cozy up with a good book! 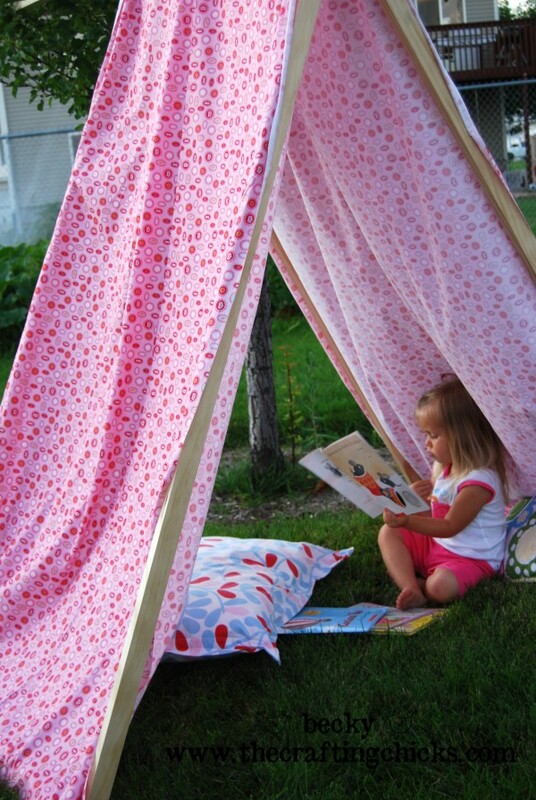 Why not make a backyard tent that everyone can use – for reading, chillin’, or actually doing some backyard camping? 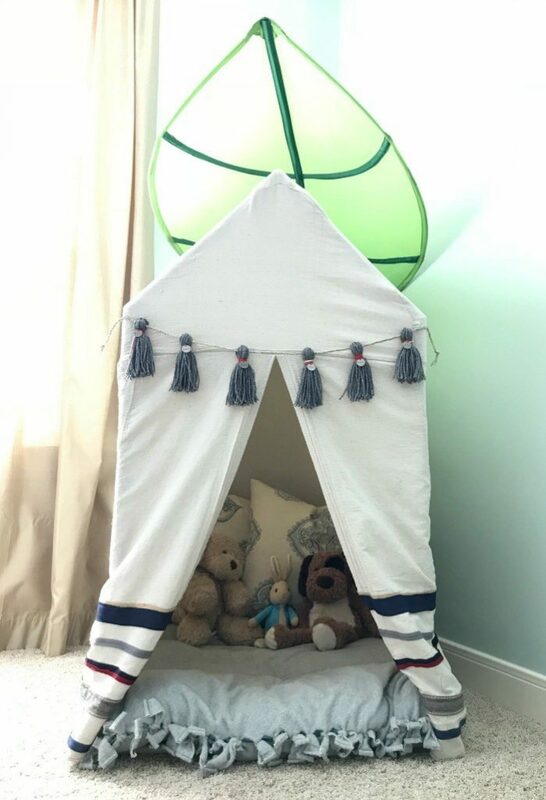 Tents, canopies, teepees and forts all make for special hideouts, and really only require some sheets and rope to put together. 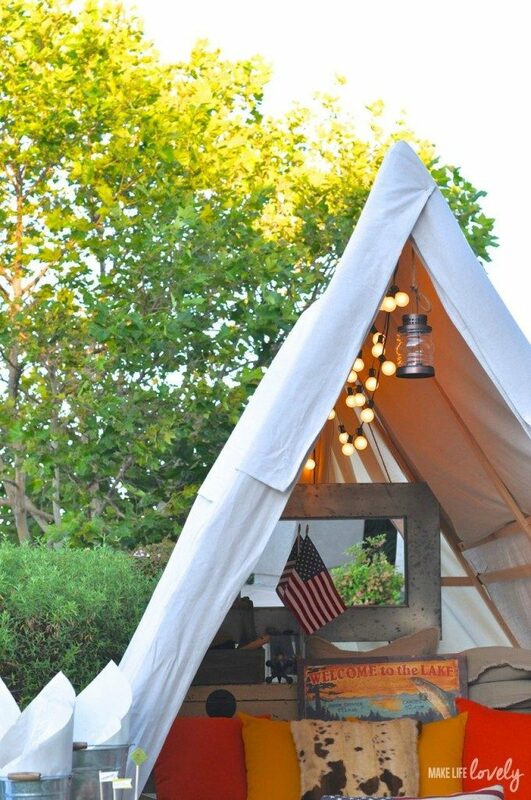 But if you’d like something more polished hanging in your home, this canopy-style tent might be just the thing! Kid’s play teepees. They are so cute and somehow so necessary even though they’re not at all necessary, right? 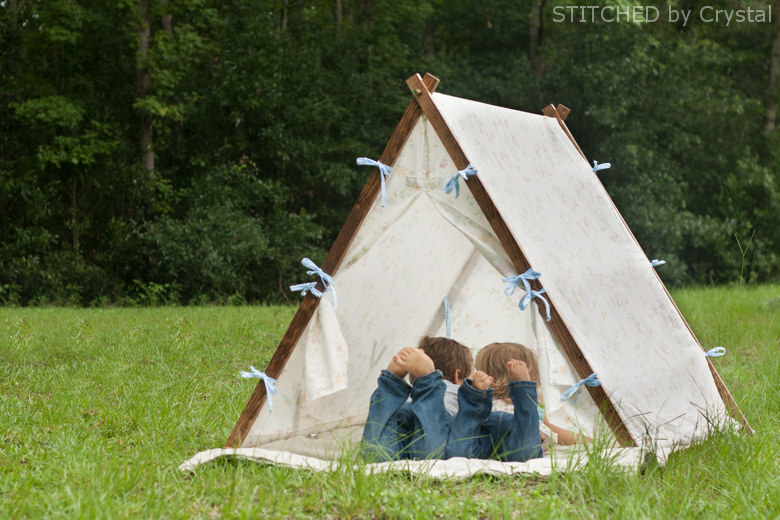 Get ready for some awesome sleepovers with these darling a-frame tents! 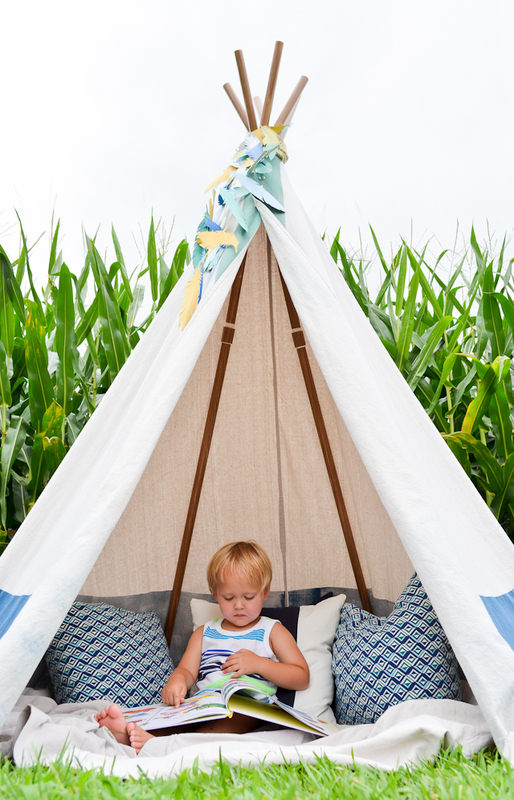 Play teepees aren’t the new kid on the block anymore but that doesn’t make them any less exciting! What will your child’s play tent look like?